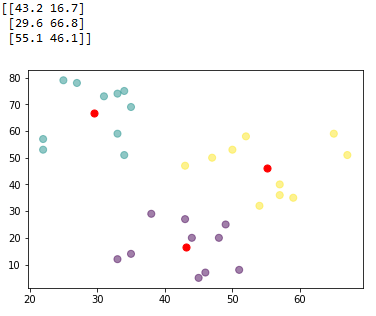 K-Means Clustering is a concept that falls under Unsupervised Learning. This algorithm can be used to find groups within unlabeled data. 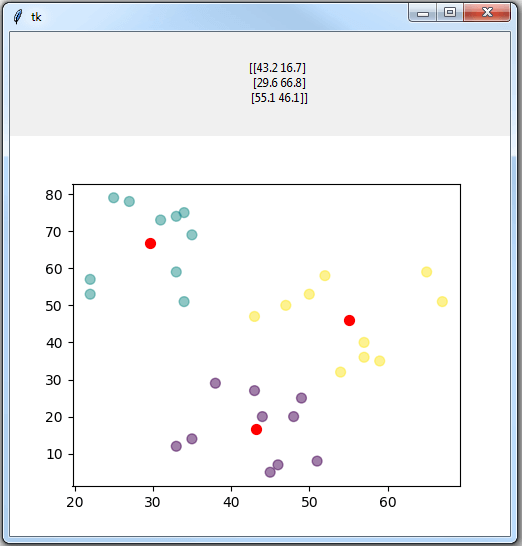 To demonstrate this concept, I’ll review a simple example of K-Means Clustering in Python. 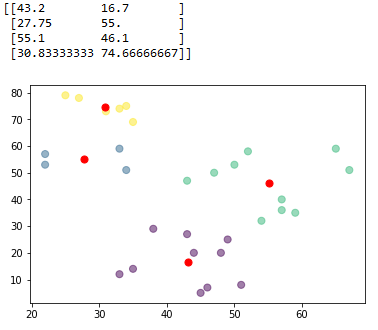 Next you’ll see how to use sklearn to find the centroids for 3 clusters, and then for 4 clusters. 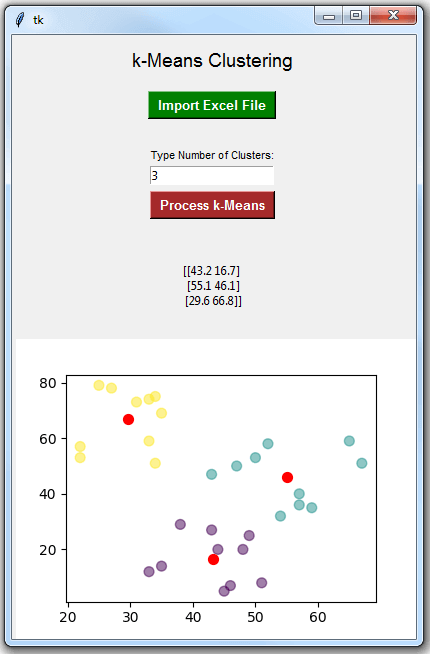 Note that the center of each cluster (in red) represents the mean of all the observations that belong to that cluster. As you may also see, the observations that belong to a given cluster are closer to the center of that cluster, in comparison to the centers of other clusters. 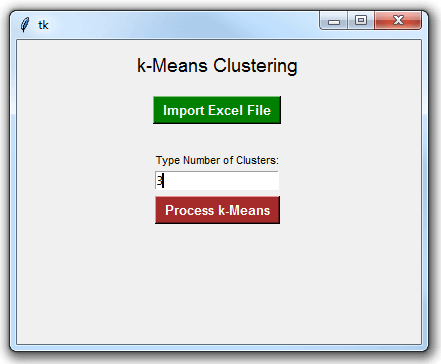 You can use the tkinter module in Python to display the clusters on a simple graphical user interface. Press on the green button to import your Excel file (a dialogue box would open up to assist you in locating and then importing your Excel file). That’s it. 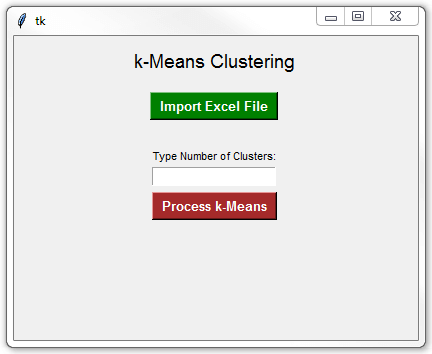 You can learn more about the application of K-Means Clusters in Python by visiting the sklearn documentation.